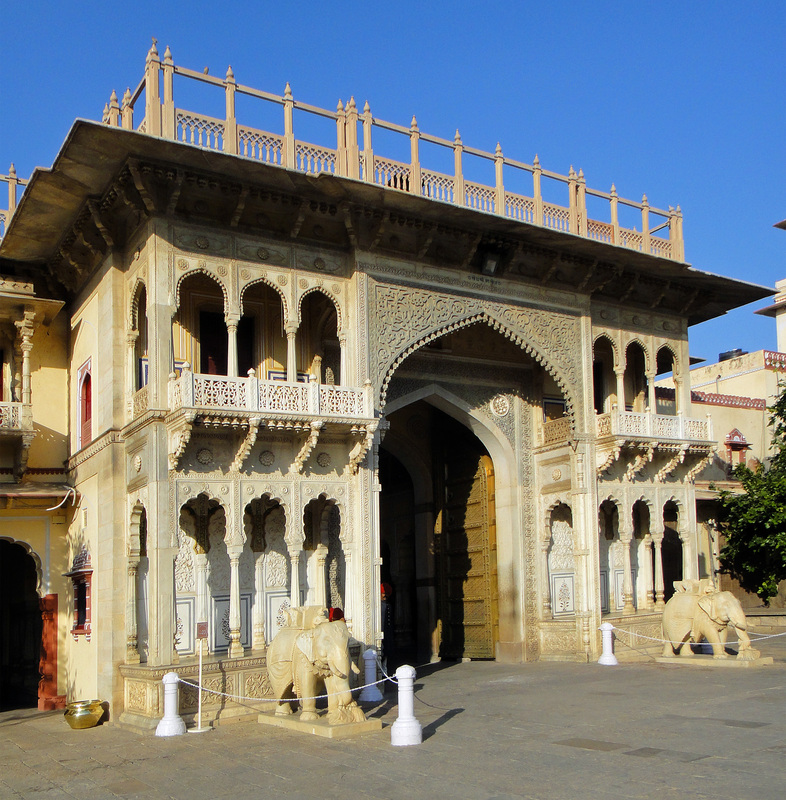 The Mubarak Mahal the ‘Auspicious’ palace was erected in the late 19th century and built in a mixture of Moghul, Rajput and European styles. 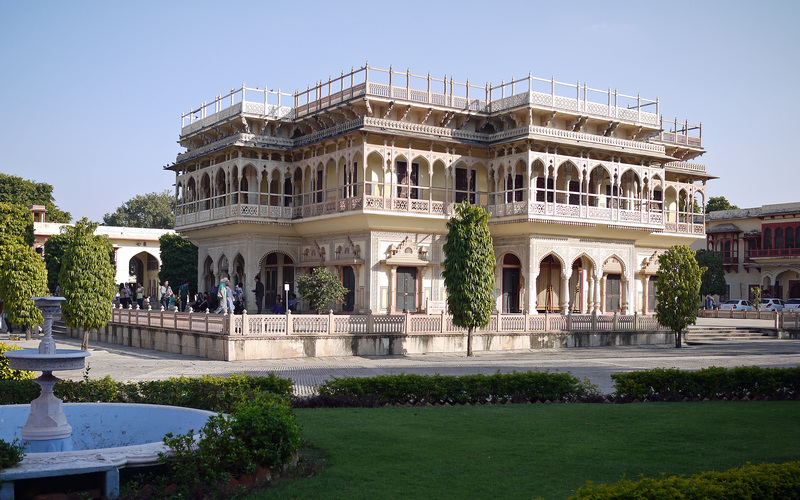 It is now a museum containing some of the magnificent costumes worn by the maharajas. 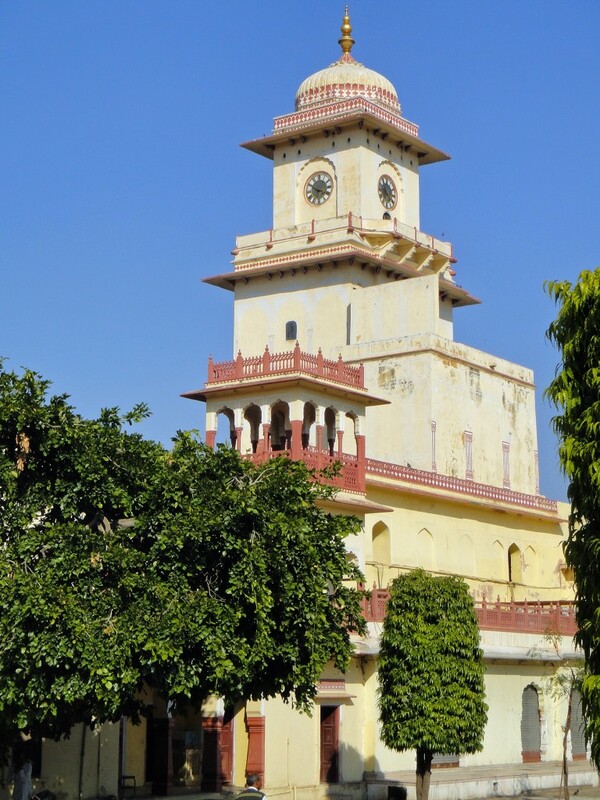 The Chandra Mahal is the main palace, with seven storeys. . Each storey has a different name and performs a different function. 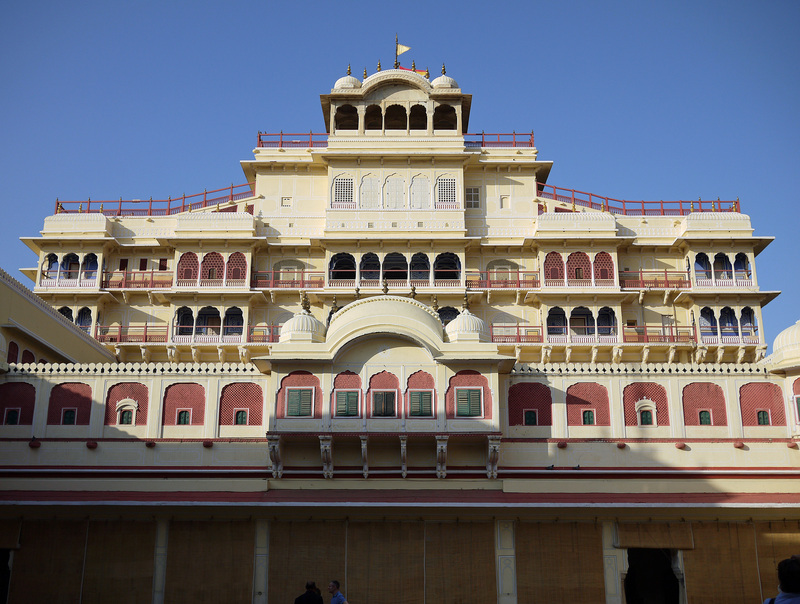 This is now the main private residence of the current maharaja. 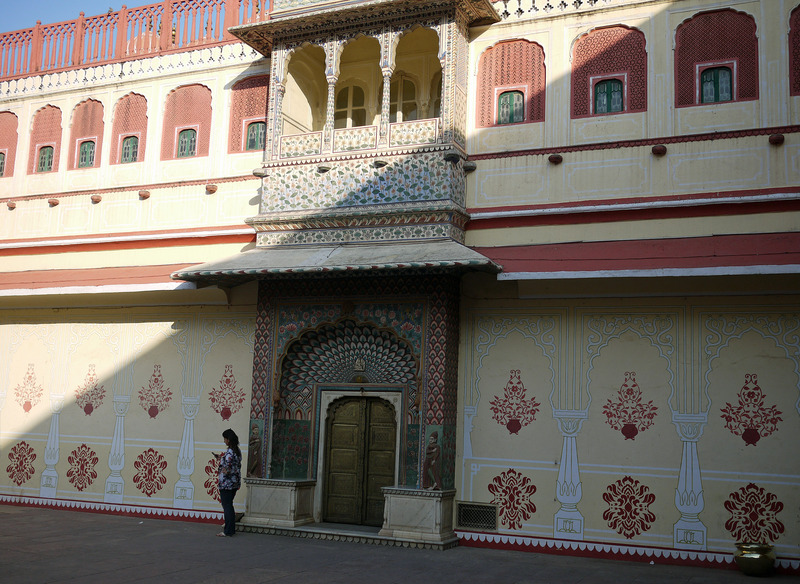 A smaller courtyard is called the Pritam Chowk or the Peacock Court. It has four magnificent Gateways, here unfortunately shown in shadow. This is the finest of the gateways. 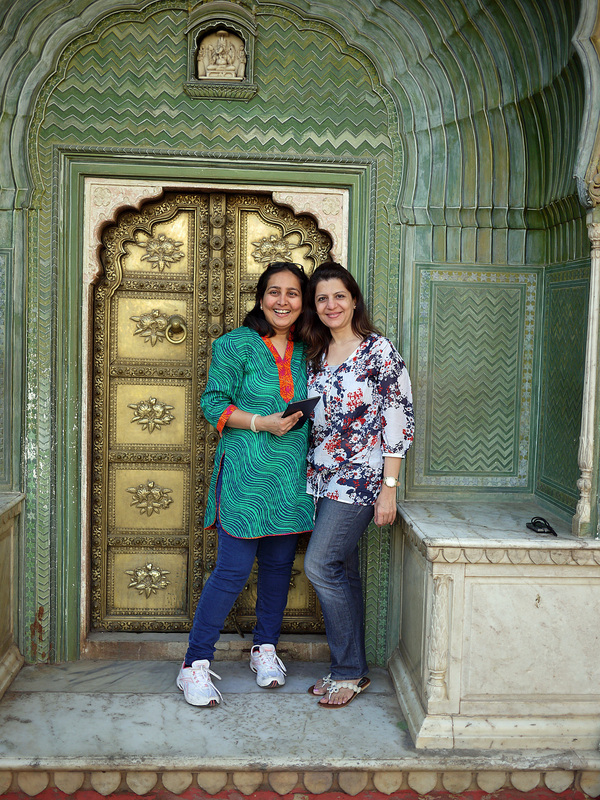 These two ladies asked me to take their photos, so I in return asked them to pose for me, and here they are in front of the Gateway. But double click on the photo above to see the magnificent artistry of the Gateways.